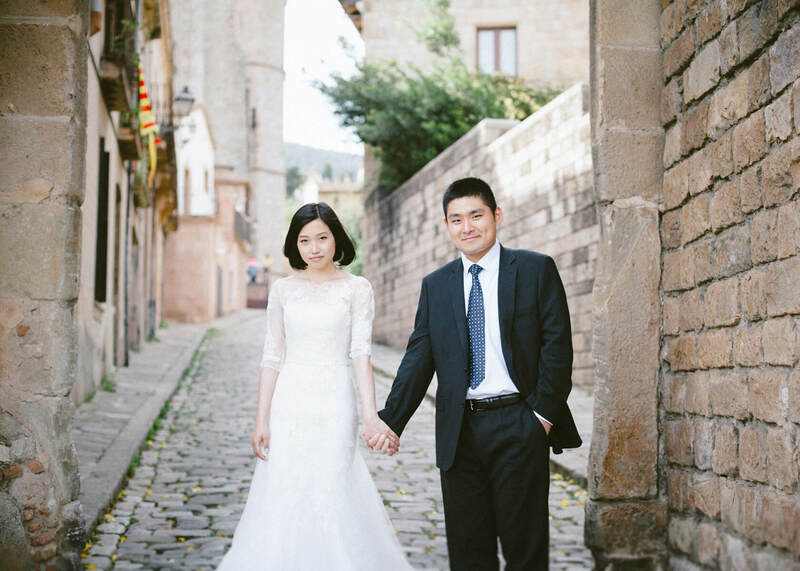 Daisy and Shuo are true world travelers. 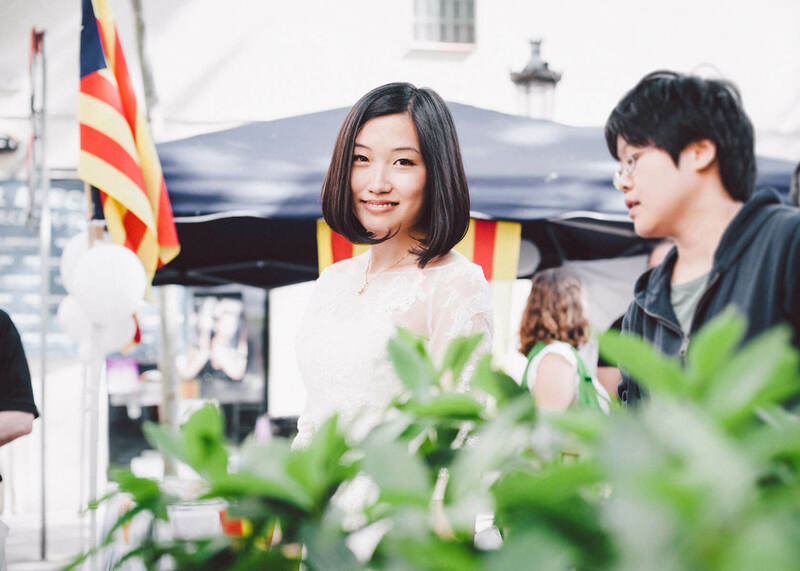 Through months of email and WhatsApp conversations I was receiving messages from, literally, all around the world. 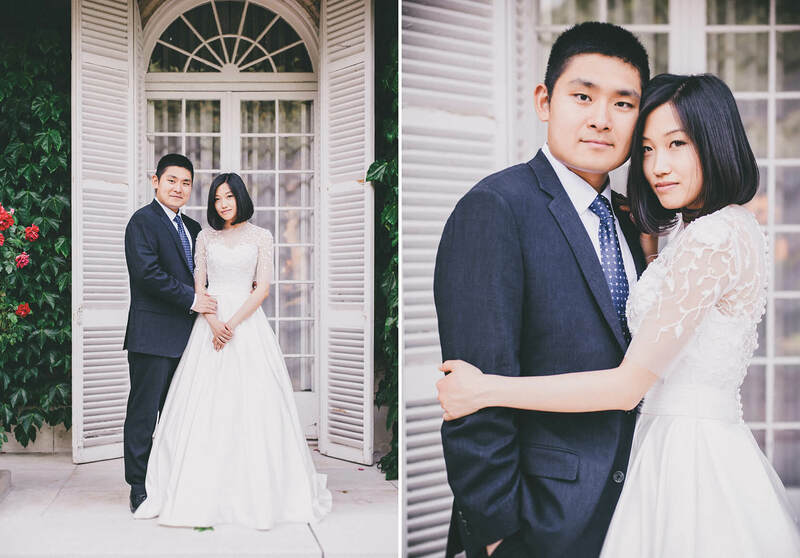 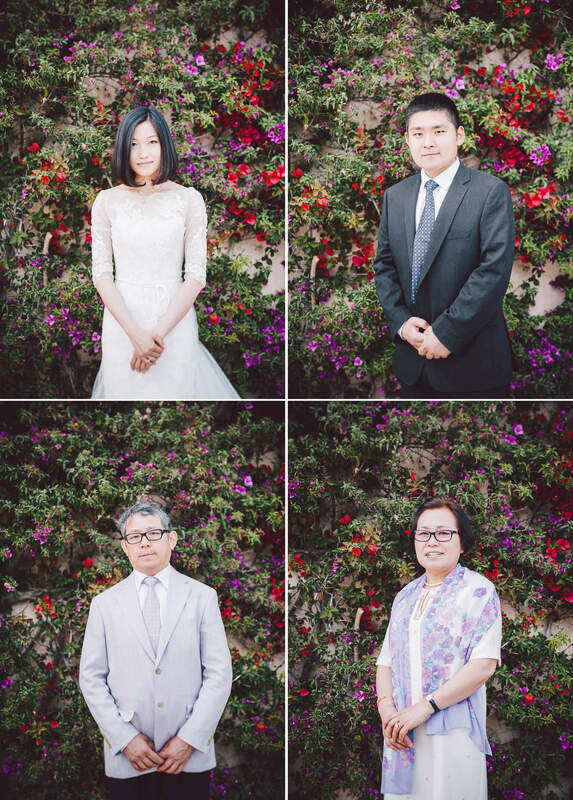 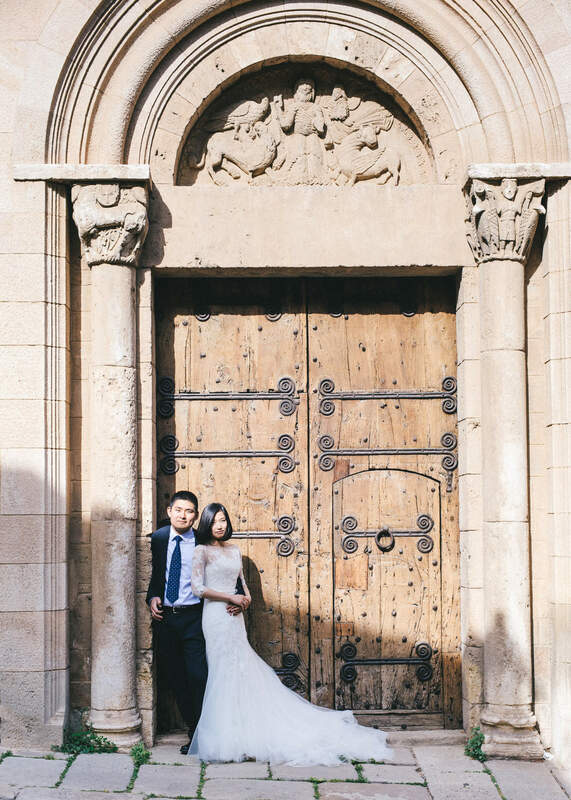 Originally from Beijing, they have been residents in our Barcelona for past few years and extensively traveling throughout US, Europe and Asia at the same time. 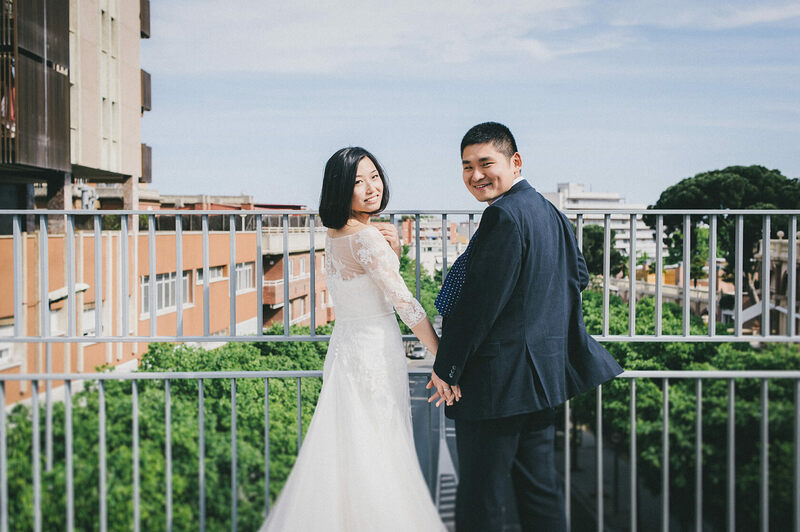 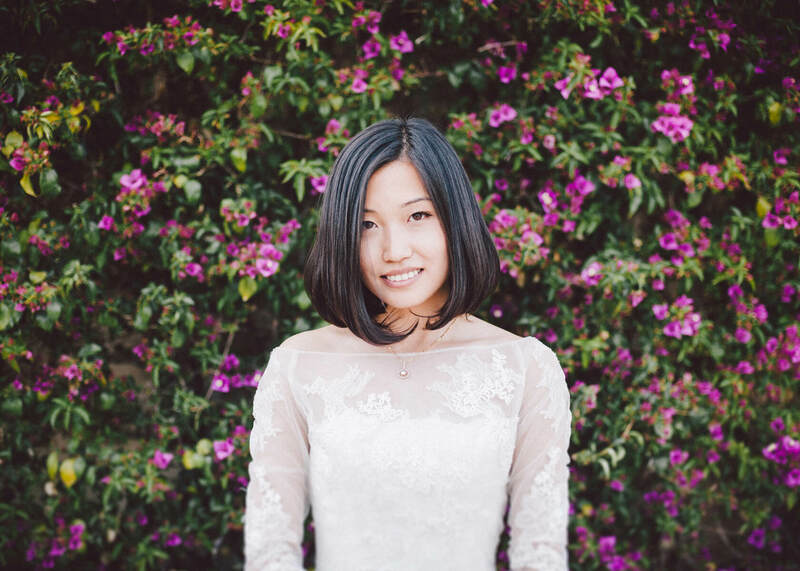 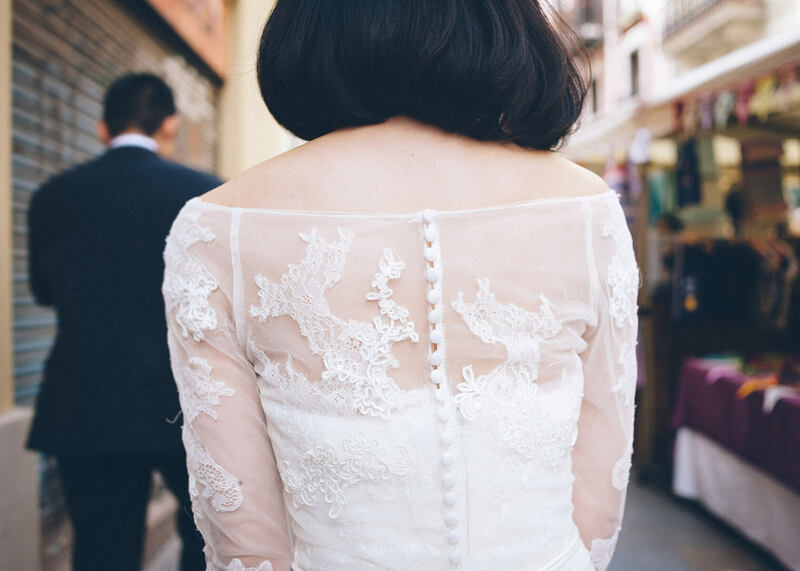 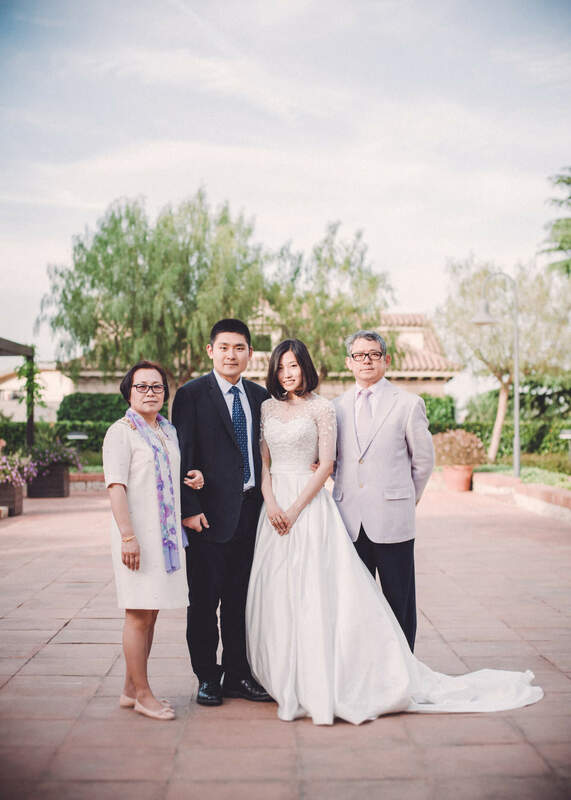 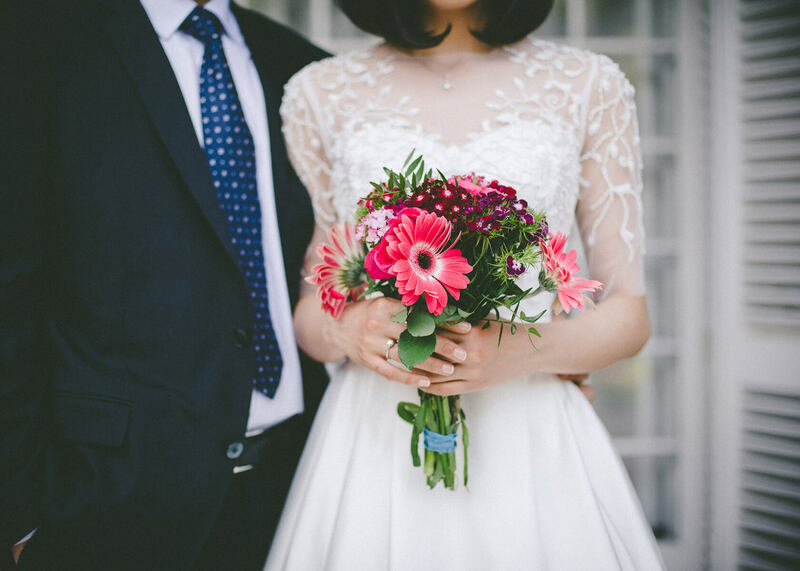 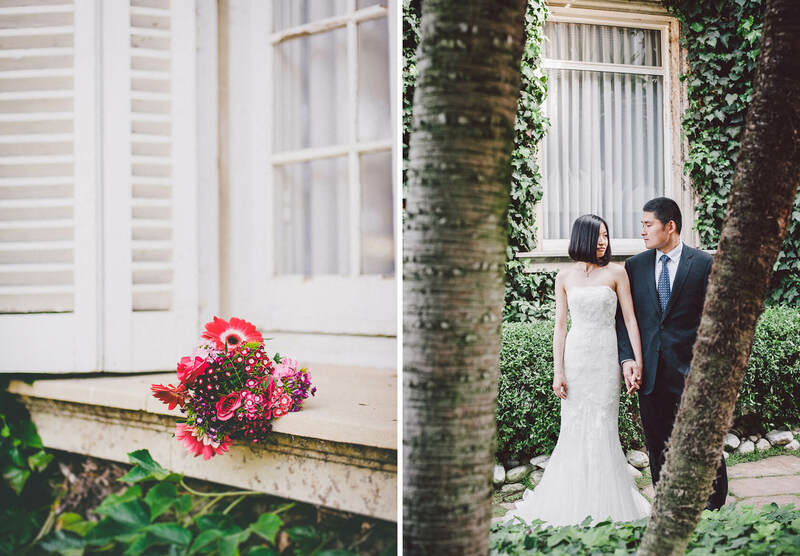 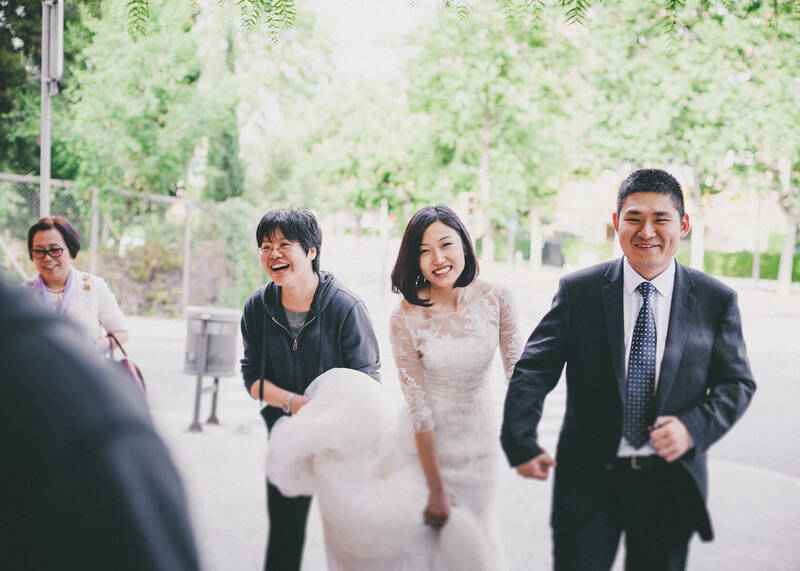 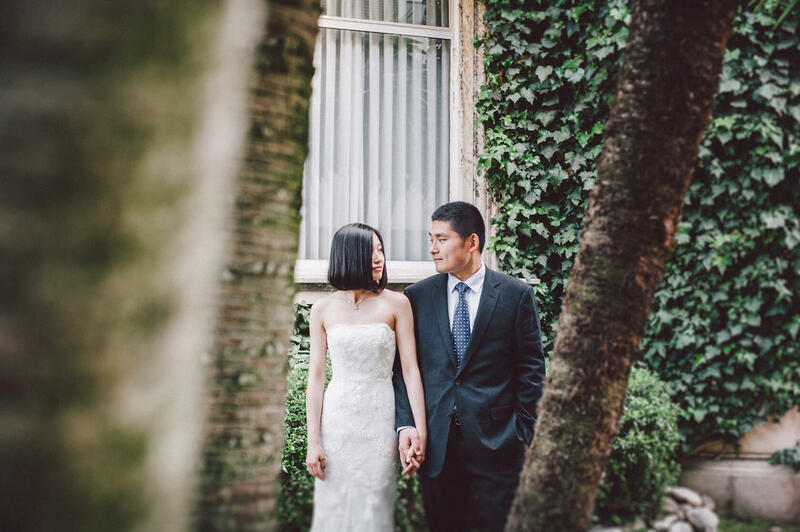 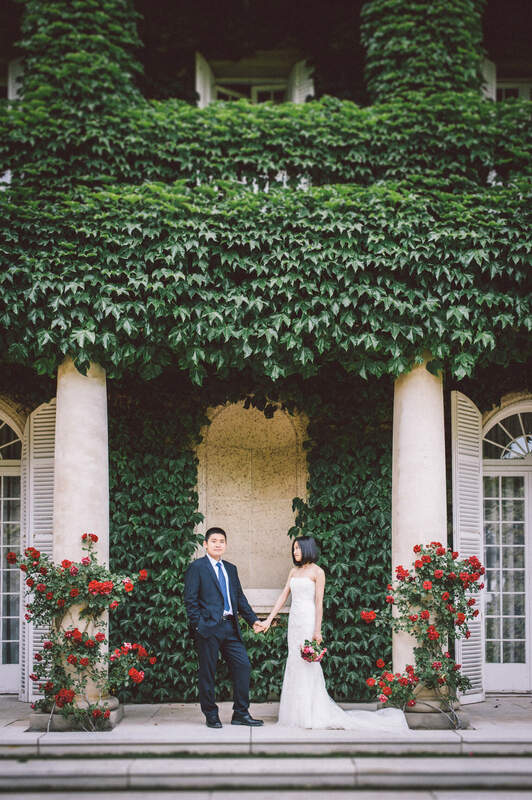 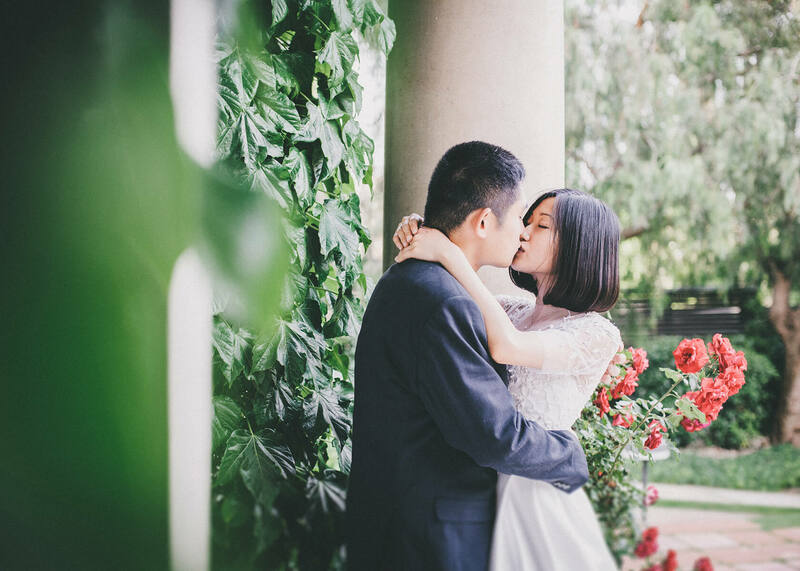 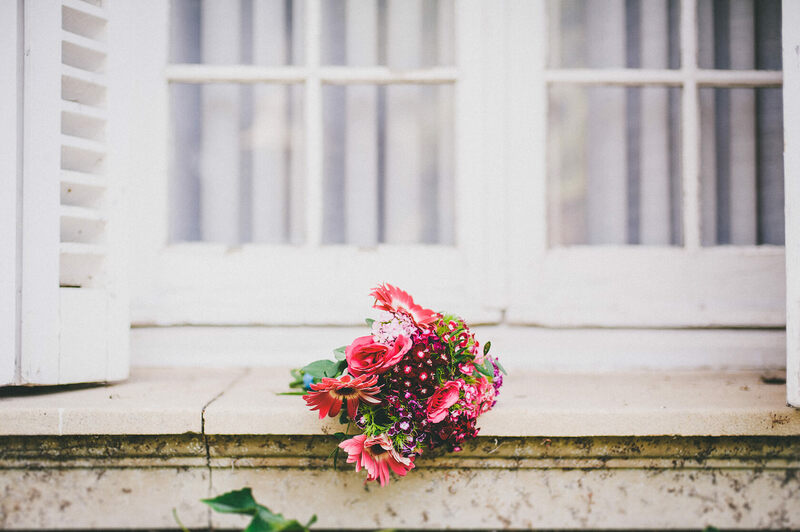 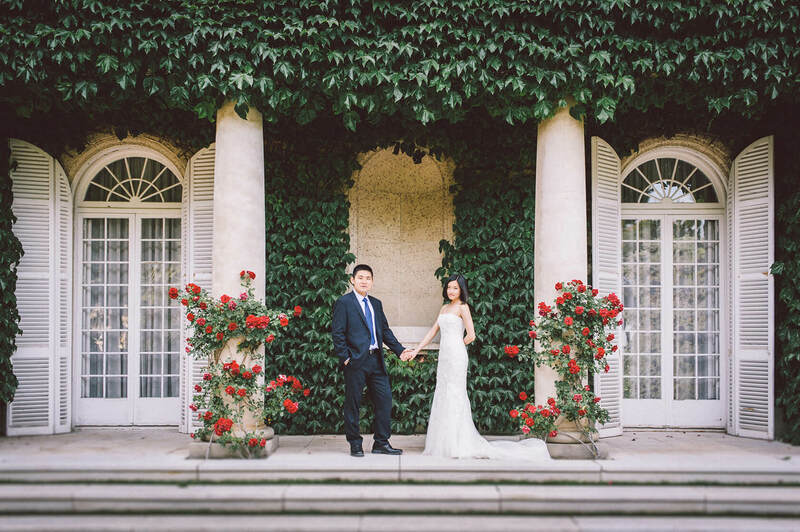 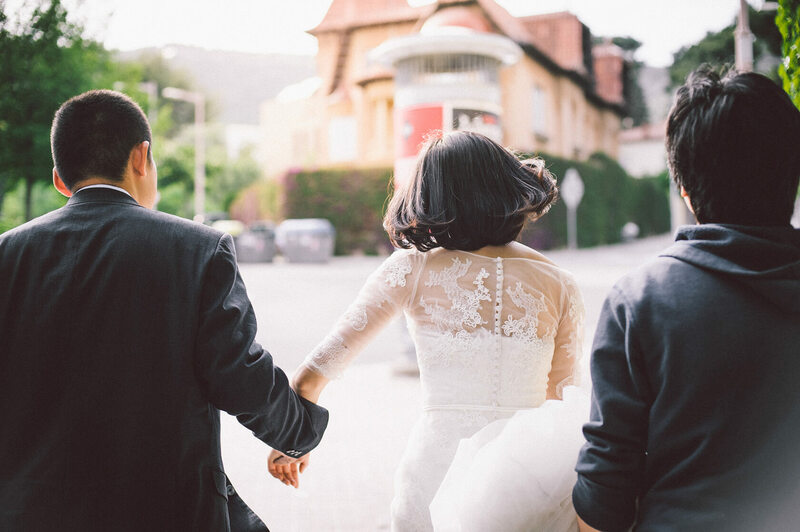 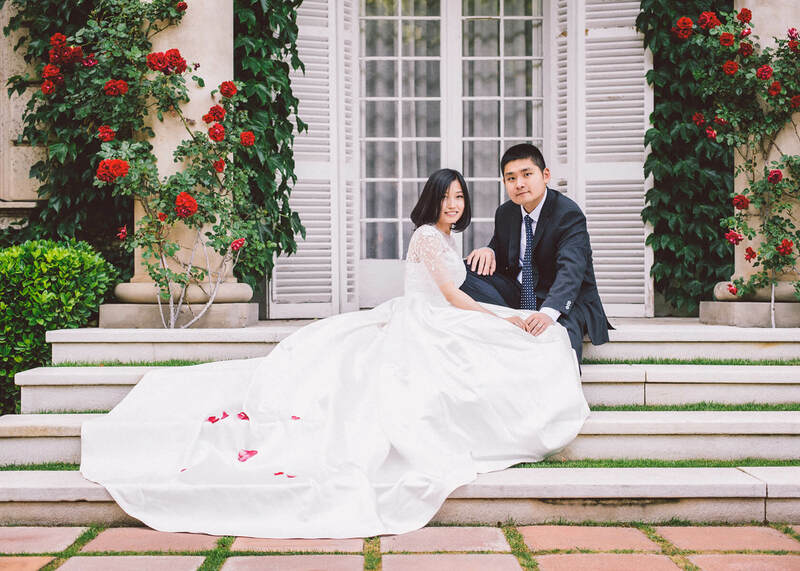 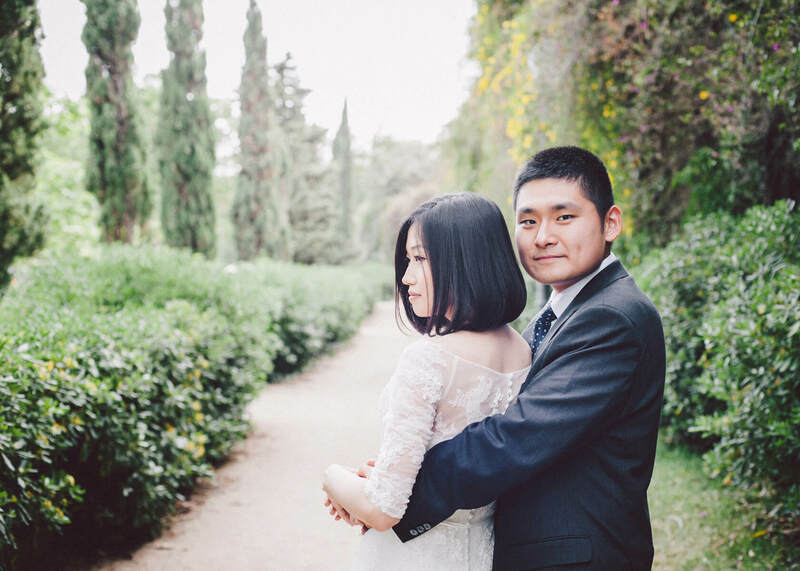 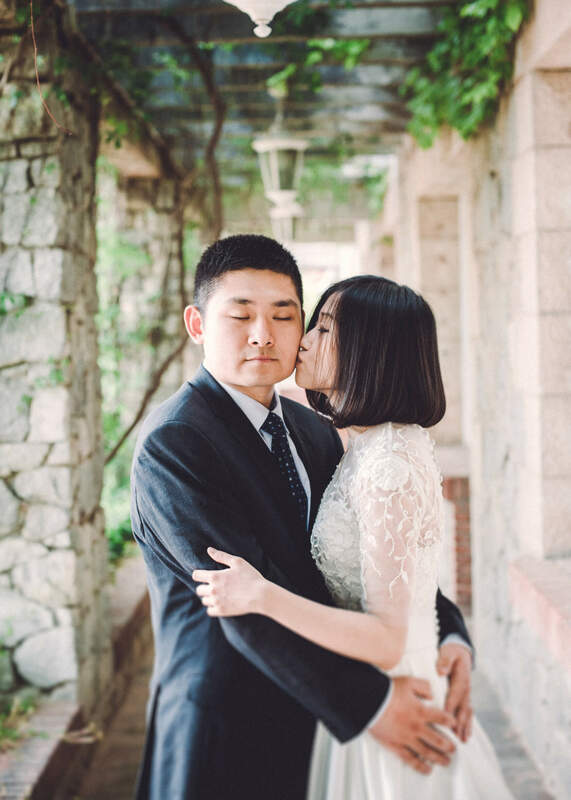 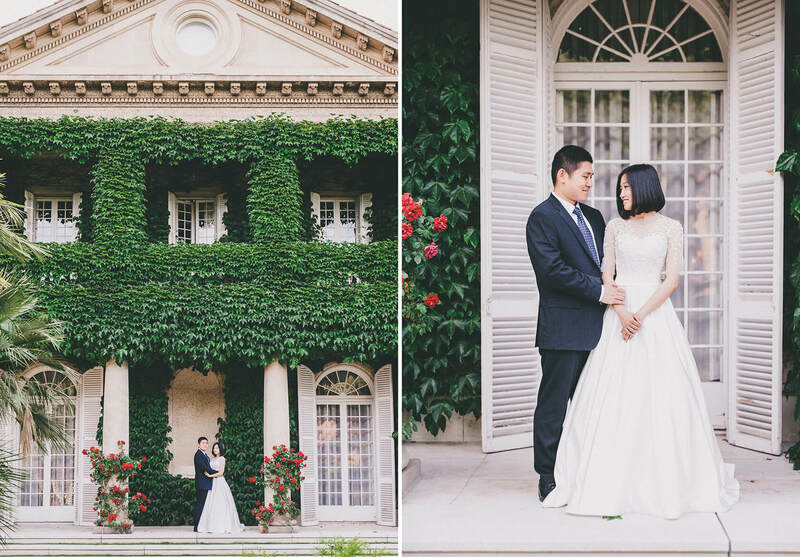 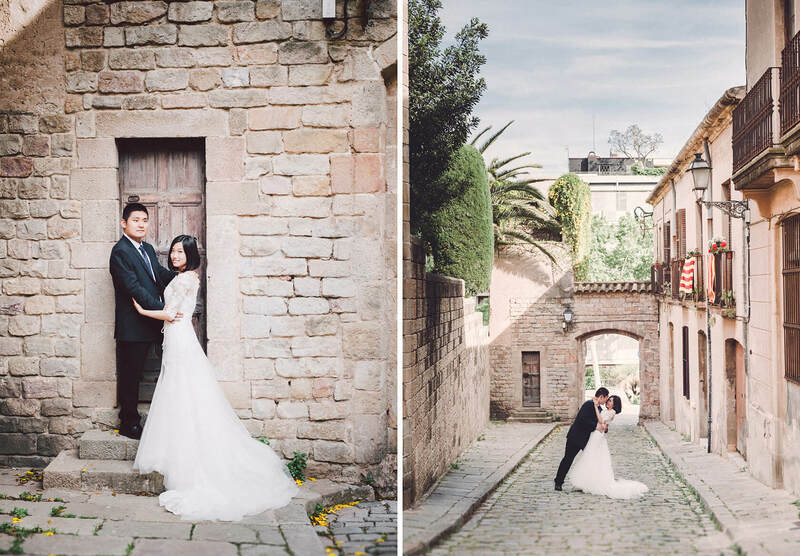 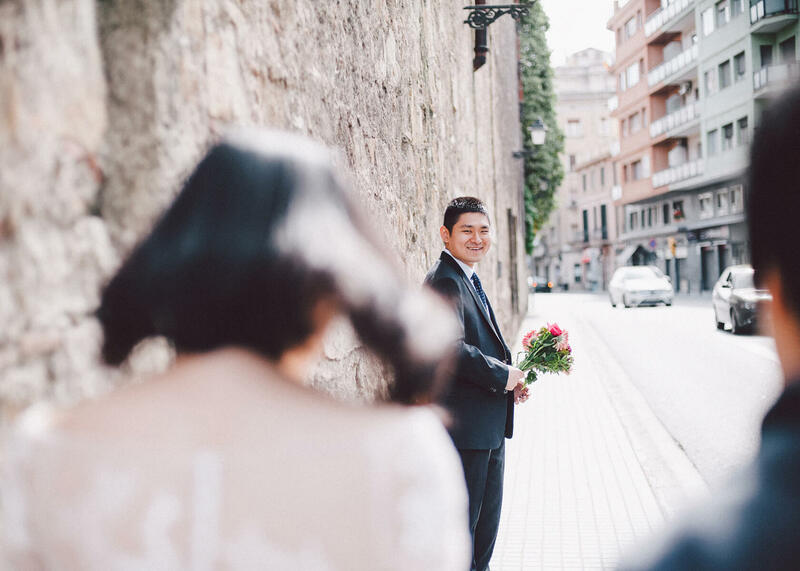 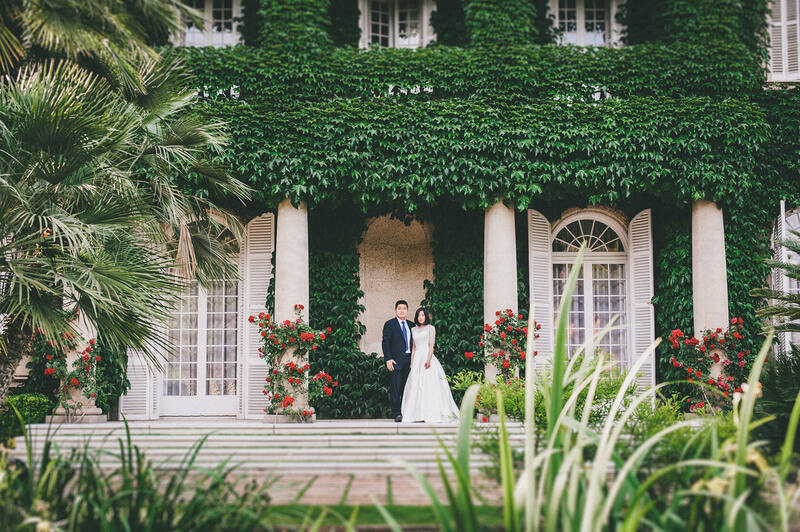 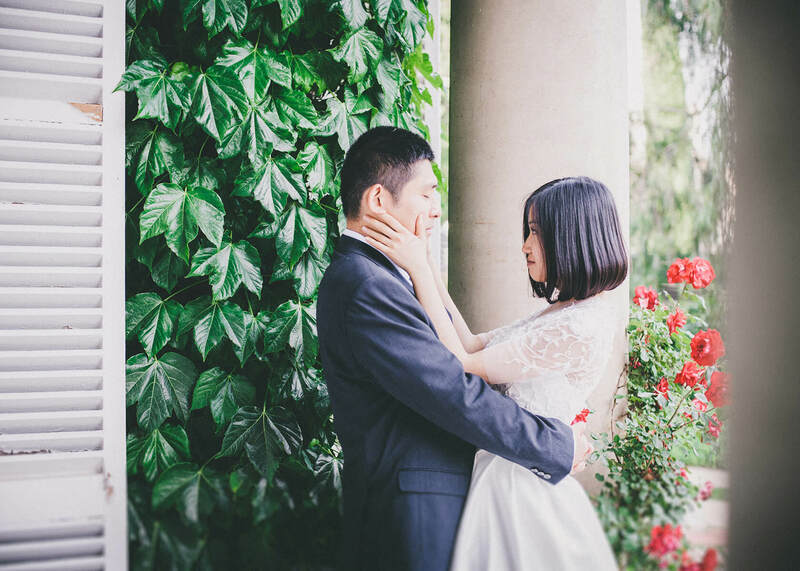 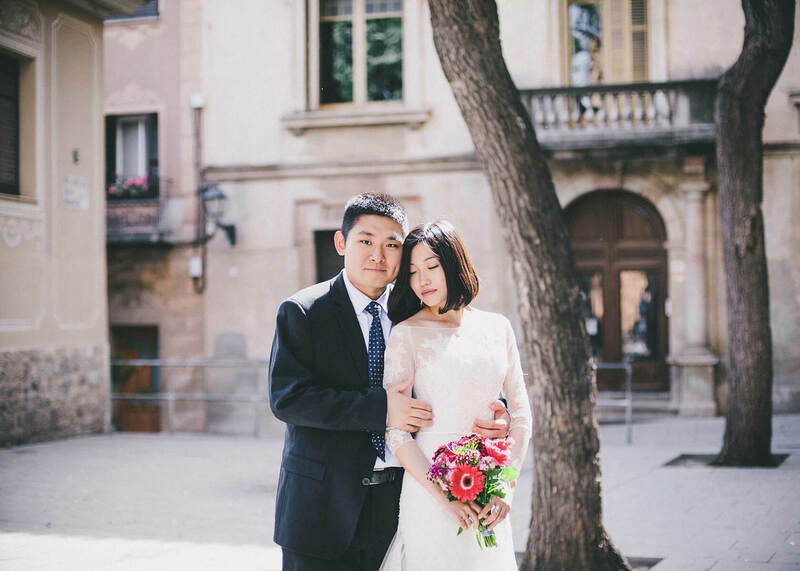 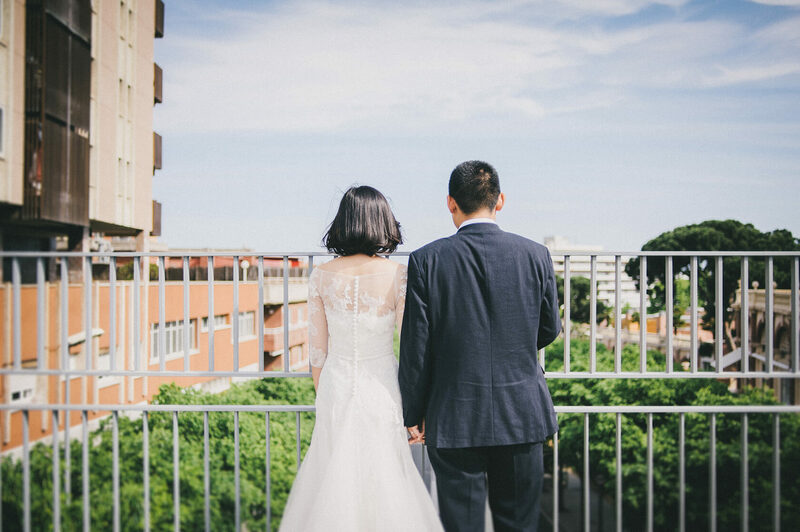 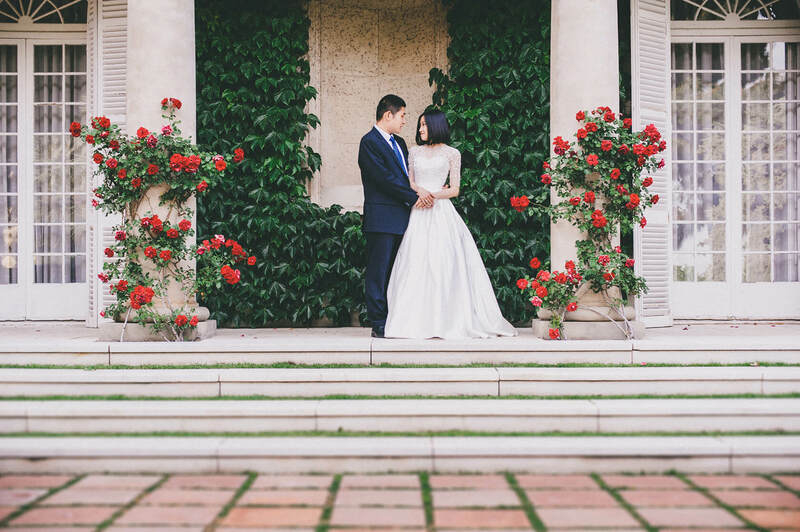 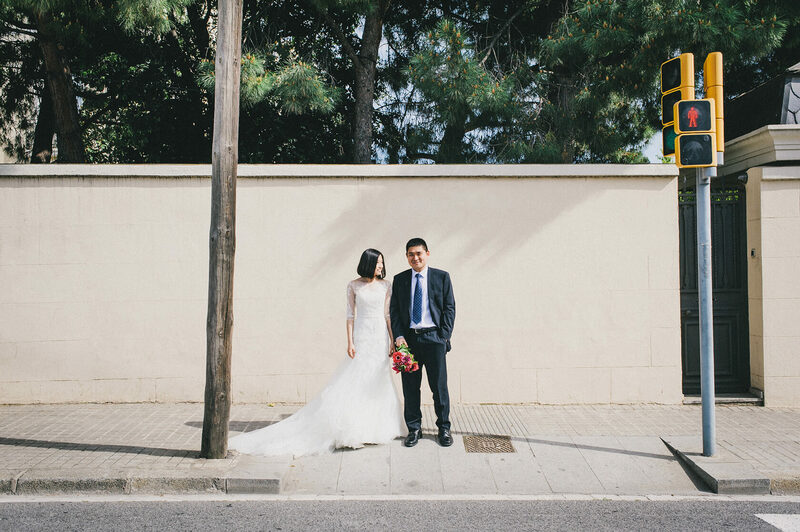 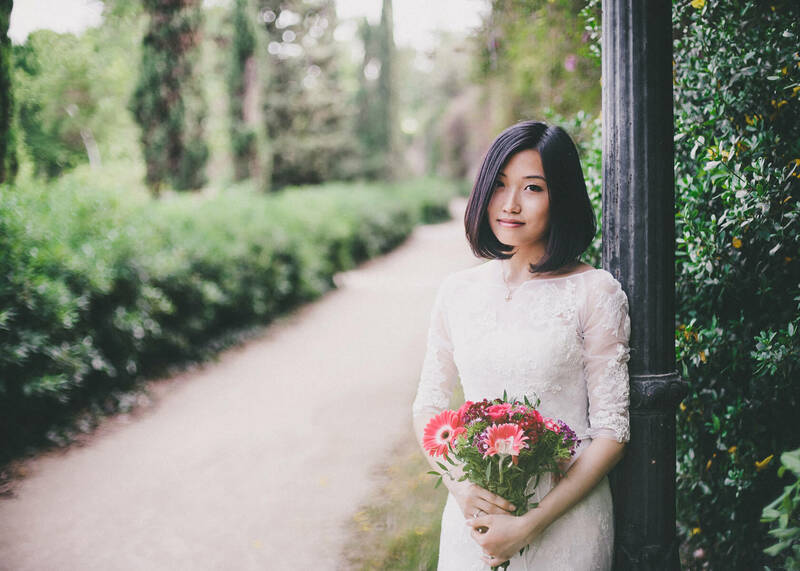 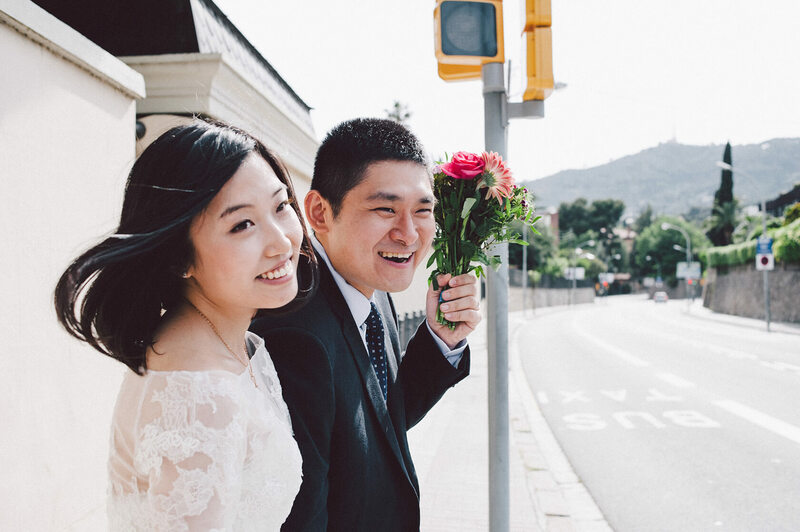 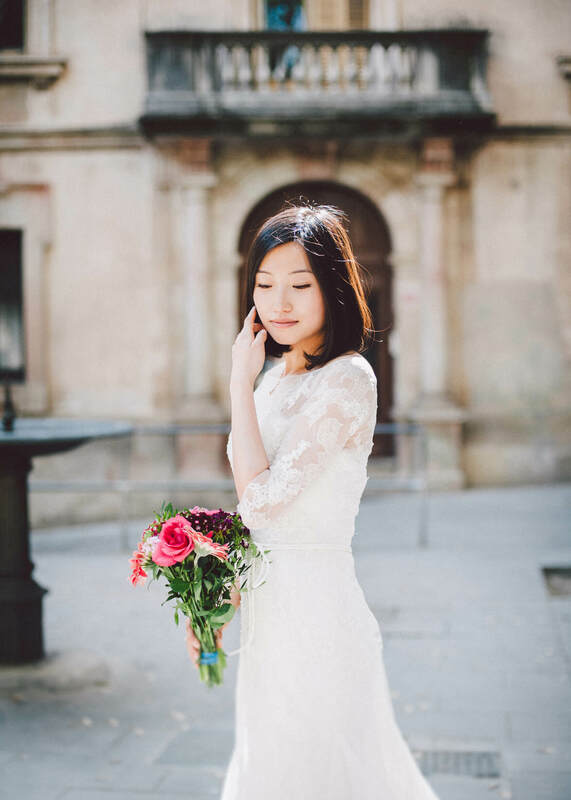 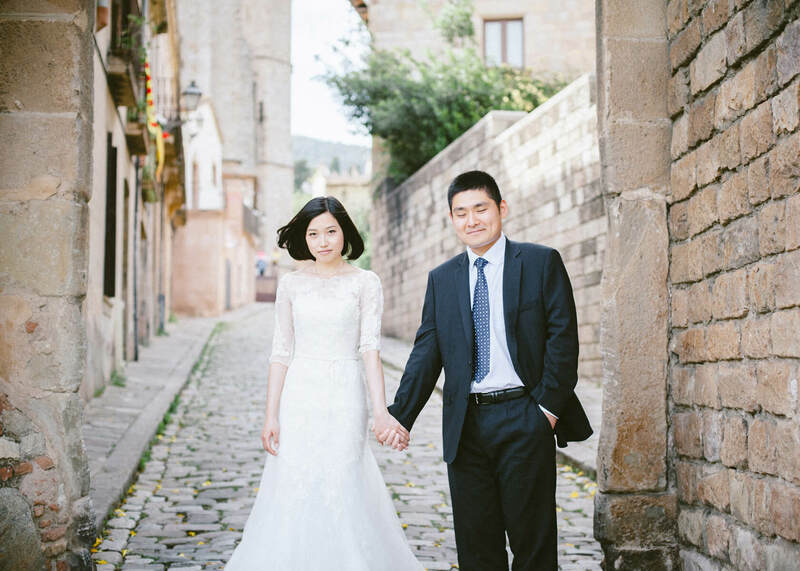 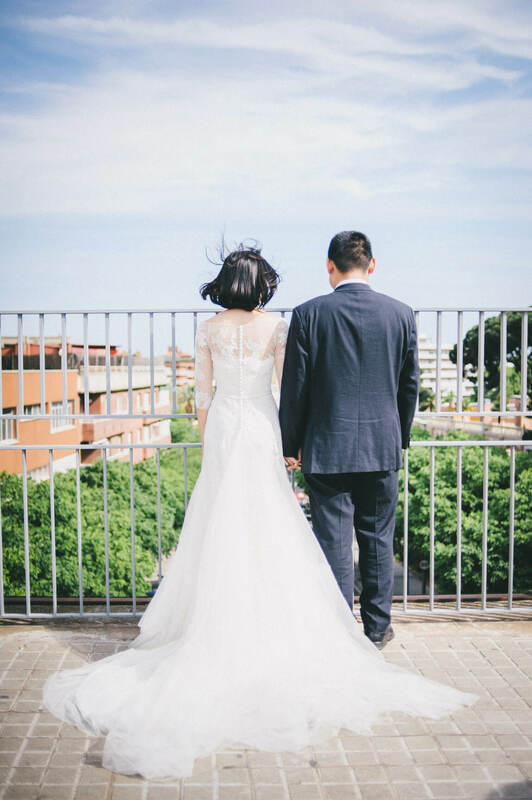 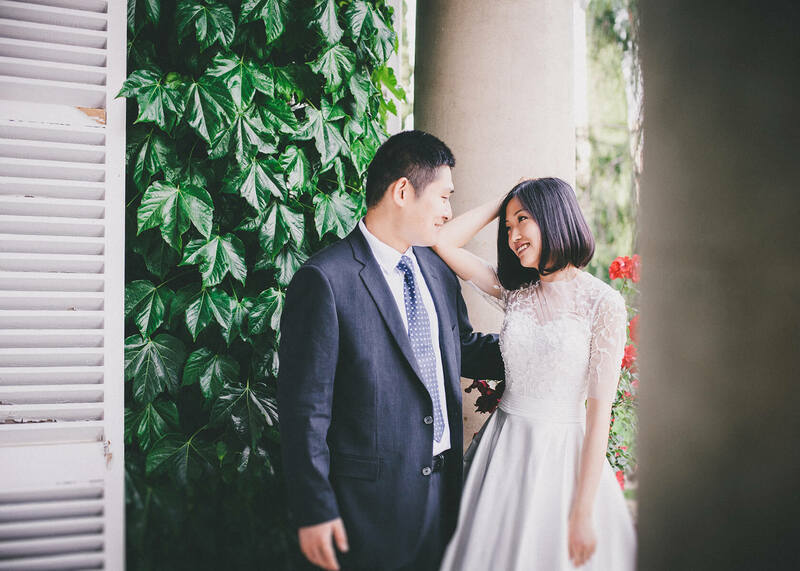 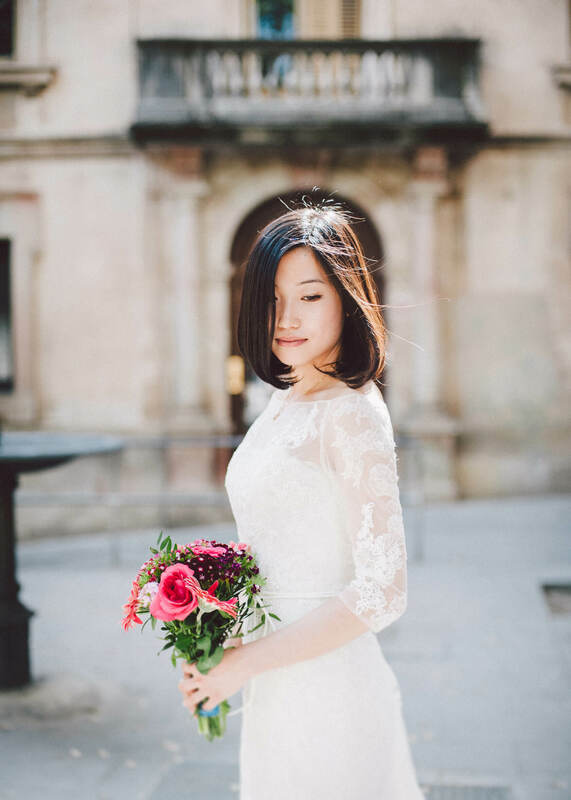 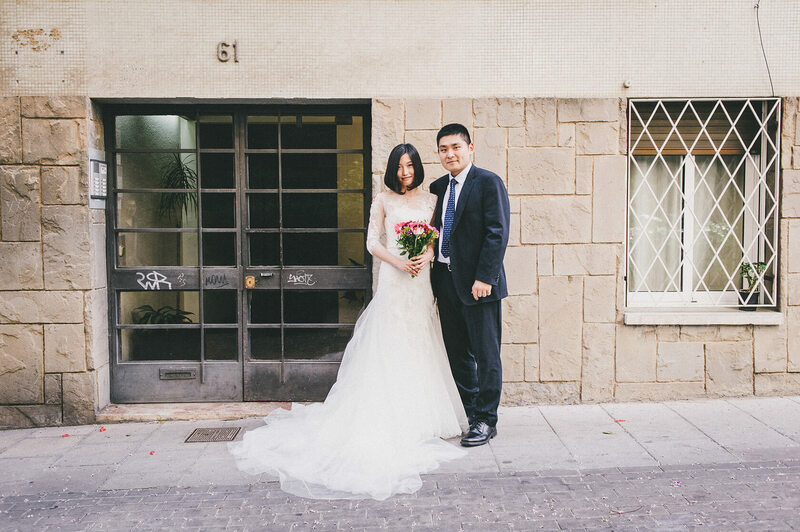 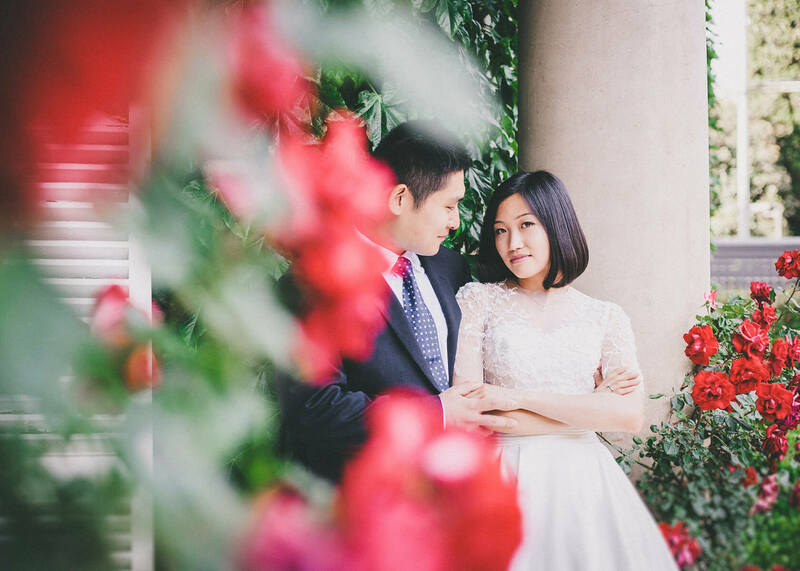 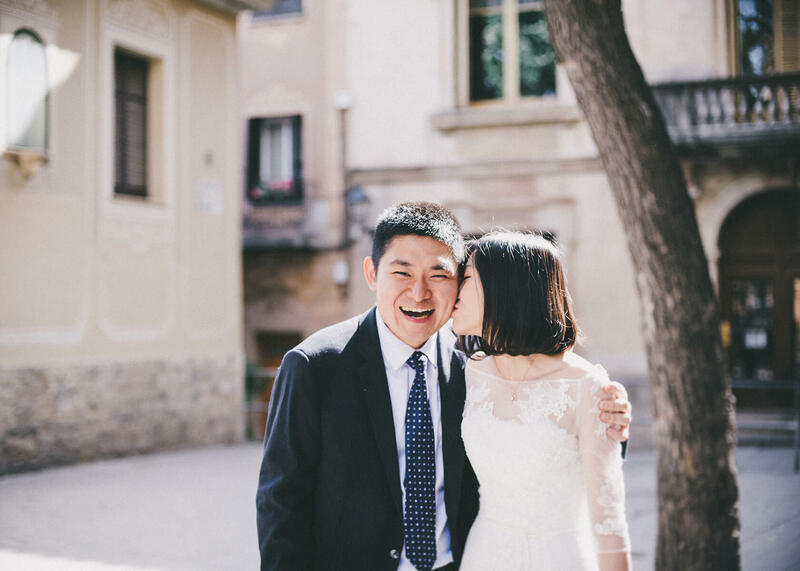 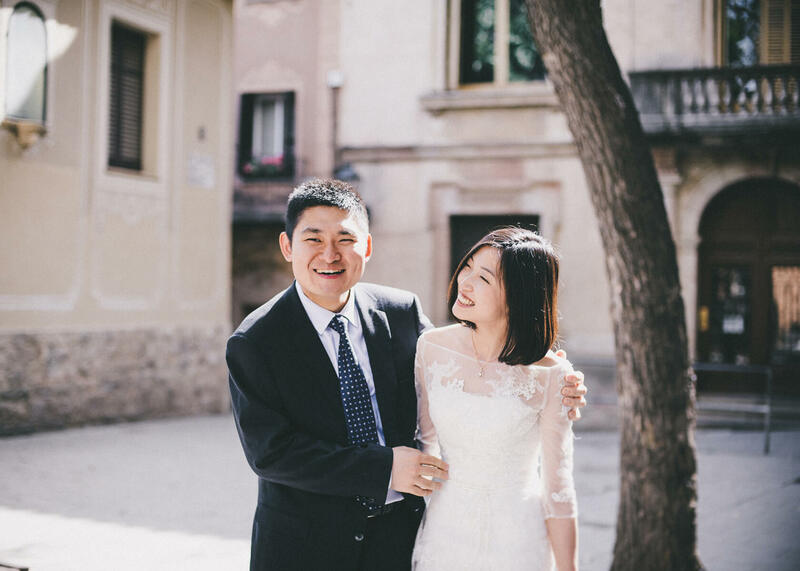 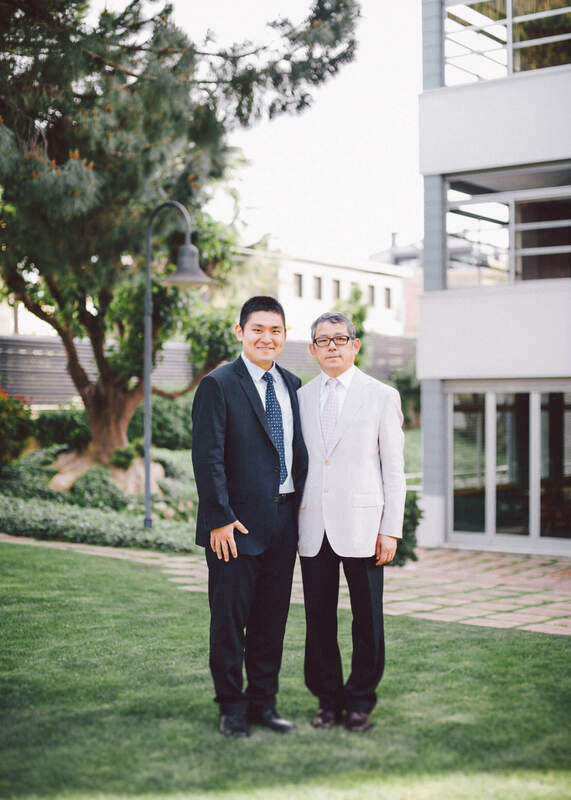 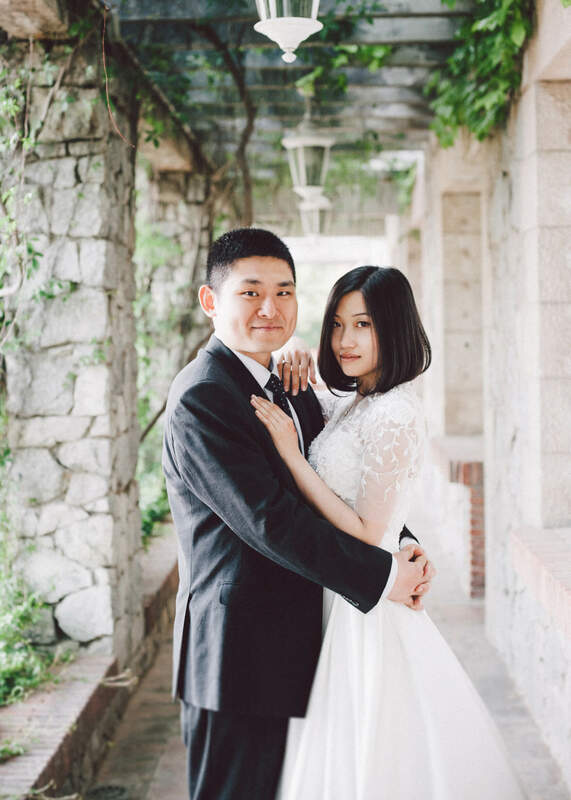 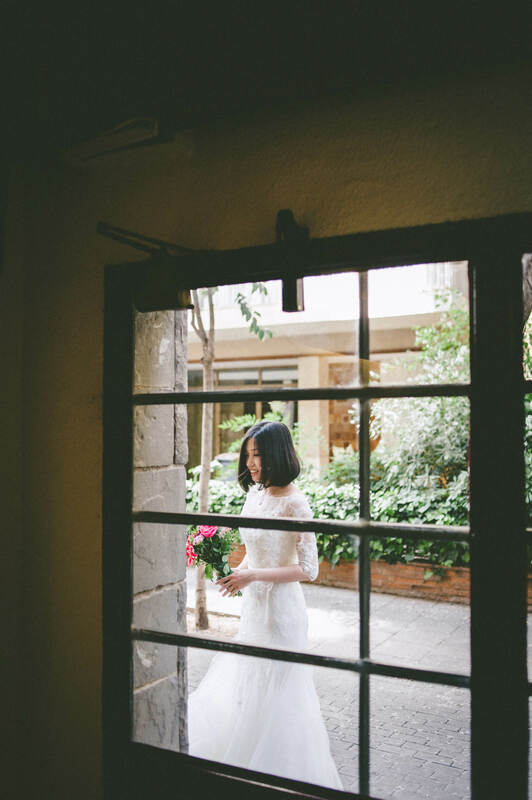 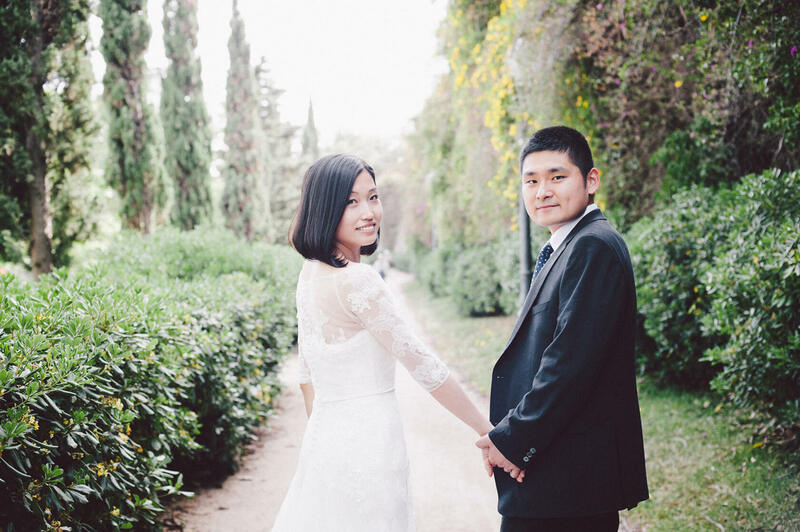 The post wedding photo shoot started at their home street of vibrant Sarria district of Barcelona and was followed by some pictures at beautiful Pedralbes Monastery’s garden and finally at Shuo’s second home – IESE School of Business. 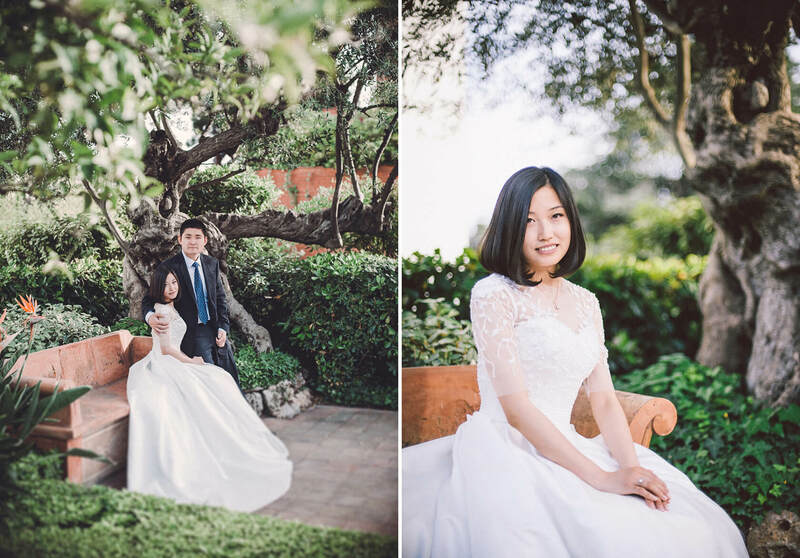 They were accompanied by their parents and a couple of friends. 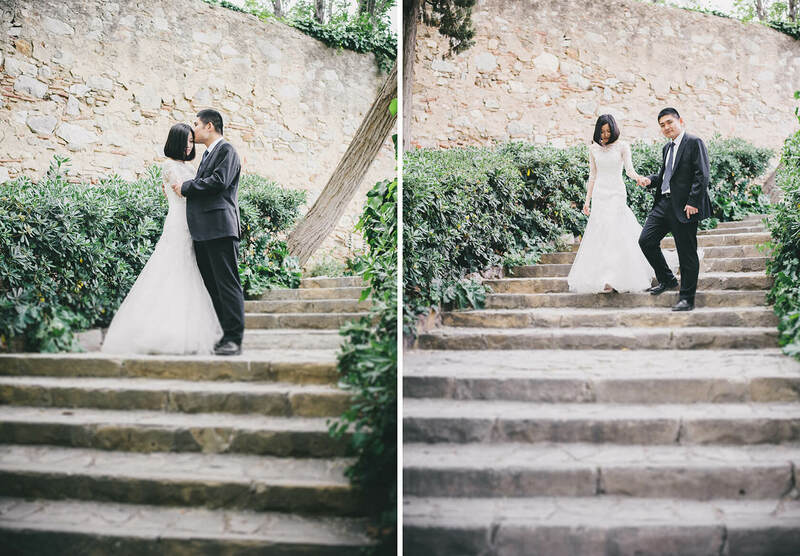 I hope you like the result! 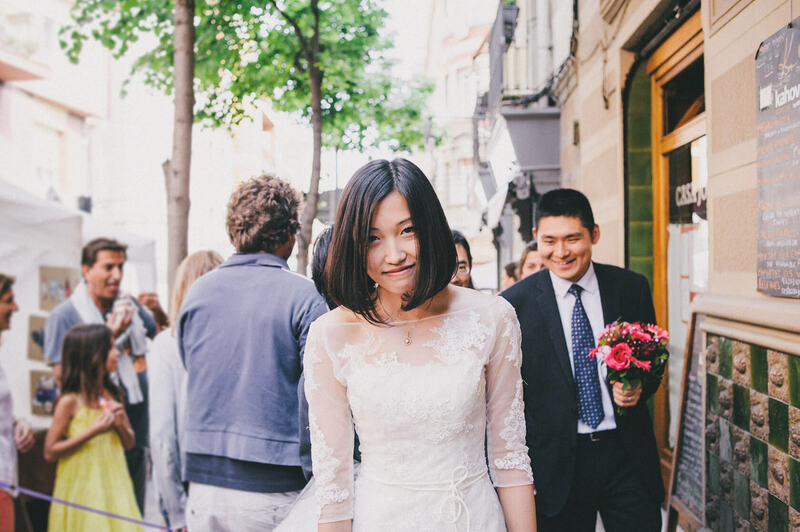 We couldn’t hope for a more stunning bride to photograph.